The third edition of this critically acclaimed book has updated and expanded the survey of clinical, biological and pathological management of localized and advanced renal cell carcinoma. Internationally renowned editors and contributors explore the latest developments in molecular genetics, focusing on the novel targets that have been discovered in epithelial renal tumors. 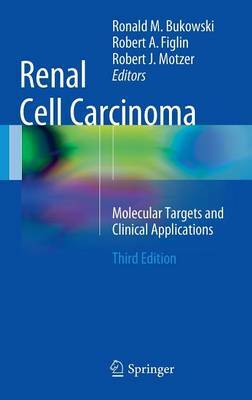 Comprehensive and authoritative, Renal Cell Carcinoma: Molecular Targets and Clinical Applications, Third Edition is the definitive text on the rapidly evolving landscape of experimental therapeutics, written and edited by leaders of the field.